An anonymous wrote: I'm a civilian contractor for a defense industry company you've probably heard of. We sell advanced hardware and electronic gear mainly to the US Army and Marines. I was enjoying a few brews this Saturday when I got called in for an emergency. I didn't think much of it until I got there and there were some heavy hitter top brass there I've never seen. We work closely with the military so when a bunch of Colonels show up I never met I knew some serious business was in the works. On top of that some of them looked really panicked. Can't divulge much but I can say there is an instant order to move a material ton of some badass state of the art gear down to Antarctica. And also found out all civilians are getting evacuated as soon as possible. 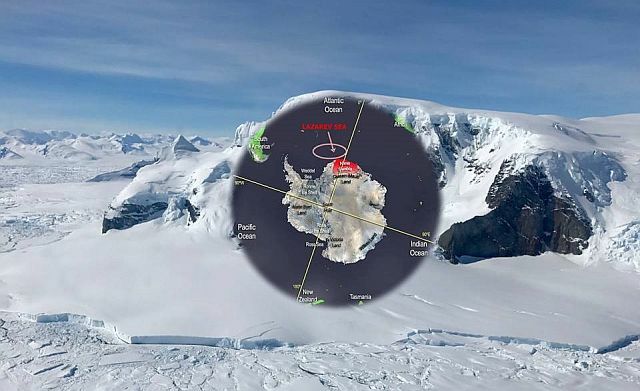 Whether the above report, which was published at godlikeproduction, is just a rumor or not but according to the last confirmed report scientists of The British Antarctic Survey (BAS) stationed in East Antarctica are being forced to evacuate due to a big ice crack which suddenly appeared near their base. Despite the U.K office has been moving the base farther inland to protect it from a different expanding ice chasm the crack threatens to cleave off the part of the ice where the facility sits and send the station adrift on an iceberg. 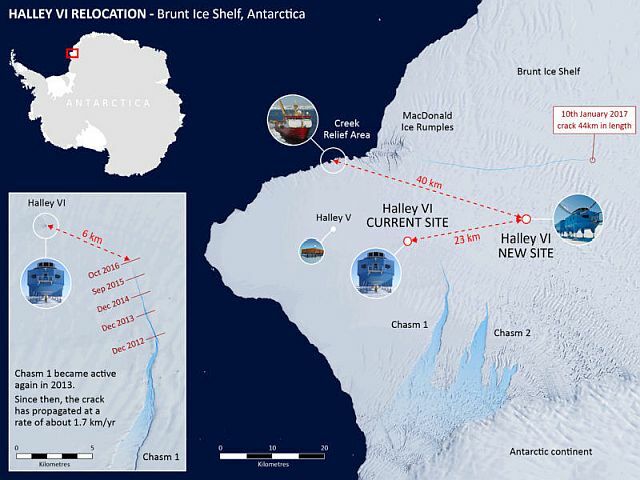 The British Antarctic Survey (BAS) said it was making a highly unusual move and closing its Halley VI Research Station during Antarctica's winter season, which runs from March to November 2017. They will evacuate the scientists in March 2017. Another interested detail is that the ocean research vessel of the Russian Baltic Fleet, the Admiral Vladimirsky, conducted a unique voyage to Antarctica for the first time in more than 30 years sailed 12,100 miles and entered the Lazarev Sea on January 20, 2016. 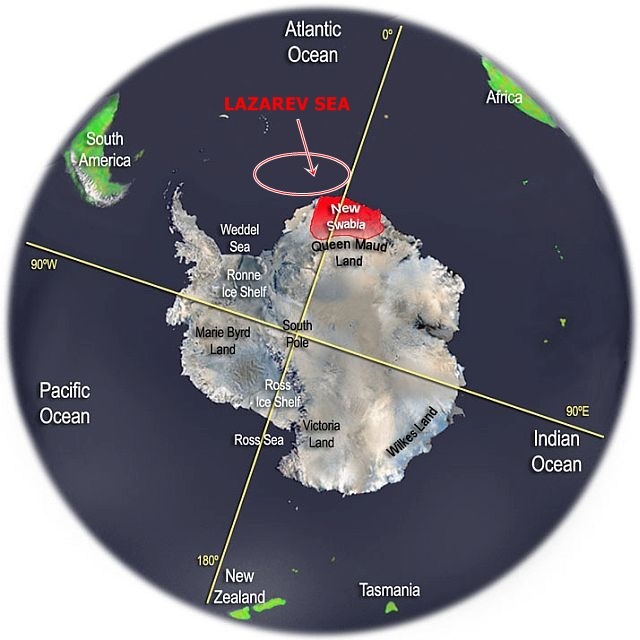 The location of the Lazarev Sea is right in front of Neuschwabenland also named as New Swabia Land (Queen Maud Land). New Swabia was explored by Germany in early 1939 and named after expedition's ship, the Schabenland itself named after the German region of Swabia. Meanwhile participants of the Russian expedition, military hydrographers, have successfully performed their tasks described as hydrographical and meteorological research of the water zones of the Antarctic. Currently the Admiral Vladimirsky is heading to Cape Town where it will arrive on March 3, 2016. It is noteworthy the research expedition was conducted just a few months before the Patriach of Moscow paid a visit to Antarctica. 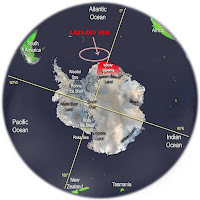 It is clear that something is going on at Antarctica because the next visitors are several ships of Russia’s Baltic Fleet, which are in the state of permanent combat readiness, will make several long-distance voyages this year, including a voyage to Antarctica. 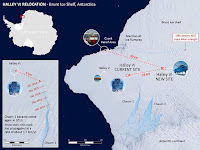 With all the well known and important people who already have visited Antarctica, U.S. and Russian military involved, a huge unexplained ice crack next to New Swabia Land I can only assume that they are looking for something, eventually they already have found it and they want to take it out. It reminds me the 2004 movie ‘Alien vs. Predator’ when a satellite detects a mysterious heat bloom beneath Bouvetøya, an island about one thousand miles off the coast of Antarctica. After they discovered through thermal imaging that there is a pyramid buried 2000 feet beneath the ice they sent a team, includes archaeologists, linguistic experts, drillers, mercenaries to investigate the discovery. What followed was that they were caught in the middle of a battle between species and attempt to prevent the aliens from reaching the surface. In the next video UFOmania talks about the alleged evacuations.